In this Blogger tutorial, we will look at how to turn on mobile templates in blogger blog to make the blog look great on mobile devices. Step 1: Sign into your Blogger account using Blogger In Draft. 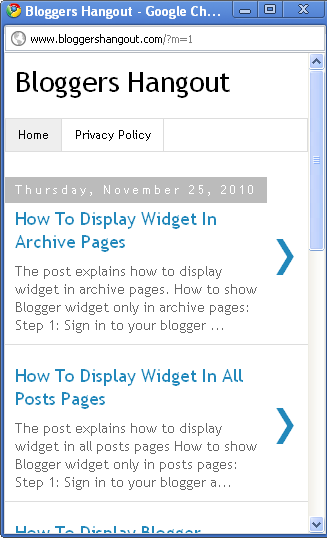 Step 2: It opens Blogger dashboard in draft mode and you can view message beside Settings as shown below in the screenshot. And then click "Turn on Mobile Templates" button. You can view mobile template (beta) under Email & Mobile which is under Settings and select radio button "yes, On mobile devices, show the mobile versio of my template". That's it. Your blog's mobile-optimized version is ready. If you have any doubts about "How to Turn on Mobile Templates in Blogger", please comment on this post.